Last November, after conceding in a closely-fought Texas Senate race against incumbent Ted Cruz, who possibly lies about his favorite movies, former Congressional Representative Beto O’Rourke wrote a letter of thanks to his supporters, opening it by indicating his wife Amy and their kids were watching “Last of the Mohicans” in the other room. Loyal frustrated followers know that “Last of the Mohicans” is this blog’s favorite movie, and because this blog gives its cinematic endorsement to one Presidential candidate each election cycle, and because rumors abounded that O’Rourke might well toss his hat into the 2020 Democratic Presidential Candidate ring, this blog was keen to know if Michael Mann’s 1992 indisputable masterpiece was, in fact, O’Rourke’s favorite movie. Alas, we could but merely speculate. 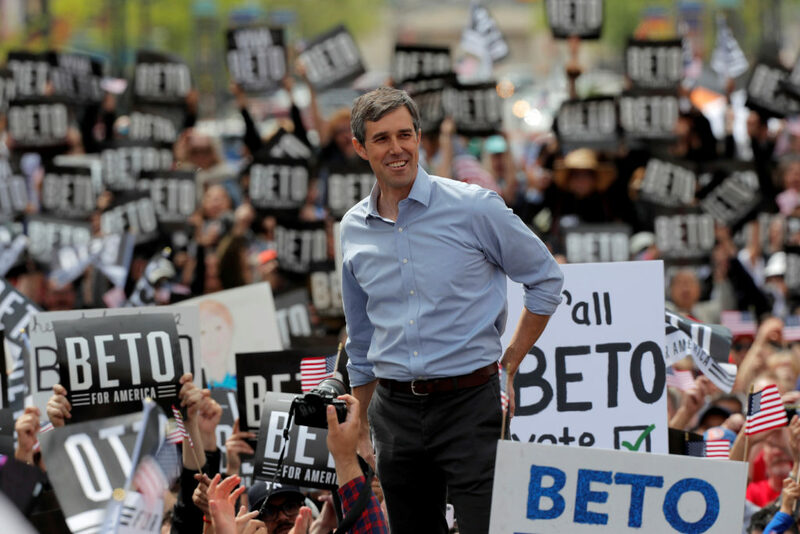 Since that time O’Rourke has officially entered the (very) early stages of the 2020 Democratic Presidential Candidate race. This has only made the status of his favorite movie more urgent. In discovering O’Rourke’s penchant for standing on countertops some have speculated that his favorite movie is “Dead Poets Society” which is an obvious joke and just not helpful, people. We have emailed Mr. O’Rourke at his official website in the hopes of confirming if “Last of the Mohicans” is his favorite movie but have yet to receive a response. We Tweeted at Mr. O’Rourke but our poor ol’ Tweet is still just sitting out there, wasting space, un-commented upon. As such, the imperative answer to the question O’Rourke’s favorite film remains elusive. O’Rourke’s love of punk music is frequently cited, which suggests his favorite movie might be Penelope Sheeris’s “The Decline of Western Civilization.” He often cites his favorite book as Homer’s “The Odyssey”, which suggests his favorite movie might be The Coen Brothers’ “O Brother Where Art Thou?” In the Vanity Fair profile accompanying his Presidential bid launch, O’Rourke compared his forthcoming campaign to “every epic movie that you’ve ever seen, from ‘Star Wars’ to ‘The Lord of the Rings.’” Even if both these films are epic, though I’d contend “LOTR” is more epic in terms of being a time-wasting leviathan, what, I ask, is more epic than “Last of the Mohicans”? Nothing, that’s what! “Last of the Mohicans” is the apex of epic! True, it’s my favorite movie and I’m biased. But then, if it really was O’Rourke’s favorite movie, would he not have it included it when describing epic movies? I would think so. Then again, he is, at present, in his platitudinous way, playing the part of a populist, and so perhaps he was merely reciting the hits. Who can say? He can, that’s who. “Just What Does Beto Believe?” asked Politico in early March. I wonder.